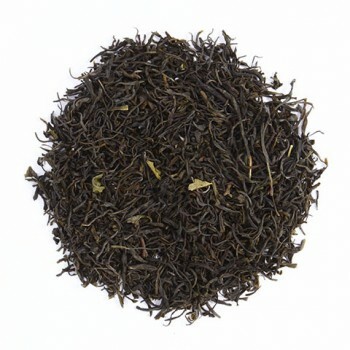 An infusion of Rooibos with a sweet, spicy and fruity taste with a hint of honey. Rooibos is a perfect, tasty drink for everyone, at any time of the day. Rooibos can also be drunk very well before bedtime, without any sleeping problems. This tea is a delicious cold and warm drink. Rooibos is not a real tea but an infusion of the Rooibos plant. Real tea contains caffeine and tannin, but this one has not any. This plant grows in the vicinity of the Cedermountain in South Africa and is also known as Aspalathus Linearis. It is planted for the production of a drink that looks like tea. This "herbal tea" is very popular nowadays. Rooibos has a positive effect on various health problems. It is a low plant with small twigs which looks like needles. These needle leaves are picked by hand, stamped and placed in the sun to oxidize. This creates the red color. 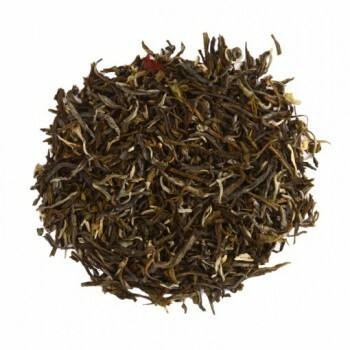 The high quality of this Rooibos is characterized by the proportion of needles compared to the twigs. The more needles, the better quality.